This isn't the first time I bought jeans with fake pockets, but it's never on purpose. the cute, perfect and very fake pockets. Jeans you seemed to fit just right. What looked like pockets were just a lie. I buy my jeans by look and feel. 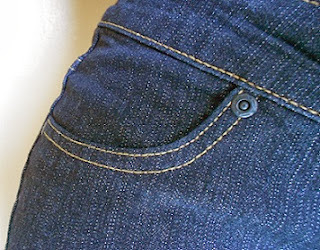 The jean pockets seemed so real. Are my pockets real or fake? Clothes manufacturer you are are snake.